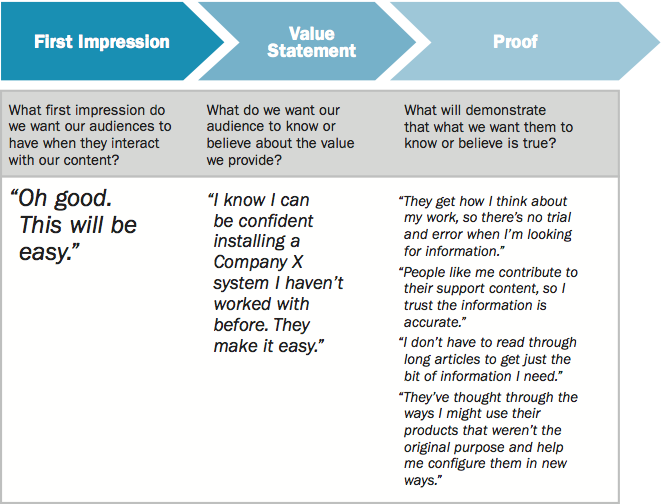 A note from the editors: We're pleased to offer this excerpt from Chapter 11 of Meghan Casey's new book, The Content Strategy Toolkit: Methods, Guidelines, and Templates for Getting Content Right . Buy the book from Pearson and get a 35% discount using the code CSTOOLKIT. Chapter 2 mentioned that breaking off a small project might make sense, rather than tackling all the content across your organization at once. Make sure you remember where your project falls in your organization or client’s entire content universe. Your project’s place in the organization’s content universe affects what you’re able to control or influence. It also is affected by the formal and informal strategies guiding content efforts throughout the organization. Content strategy for an entire organization and across all channels is super complex and very steeped in business management and operations. For the purposes of this book, I focus on the three main project types I’ve encountered most: function, property, and subset. Function refers to a functional unit within an organization, such as sales, marketing, communications, customer service, or human resources. Of course, every organization is set up a bit differently, so yours could have different names for similar functions. Very often, my client is a senior leader within one of these functions who wants help with content strategy across all the content types and delivery channels. Marketing is probably the most common. Property refers to a single digital destination, such as a website or an application, or even a social media channel, such as Facebook. Most of my digital property projects are for new website launches or existing website refreshes or redesigns. They could be a client’s primary web presence or a secondary web property for a product, service, event, or other singular purpose. Subset refers to any defined portion of content on a digital property. You can define that subset by where it lives in the site, such as the Help section or the About Us section. Or, you may define it by whom the content is for (current customers, prospective customers, and so on) or what the content is about (products, company information, area of expertise, and so on). 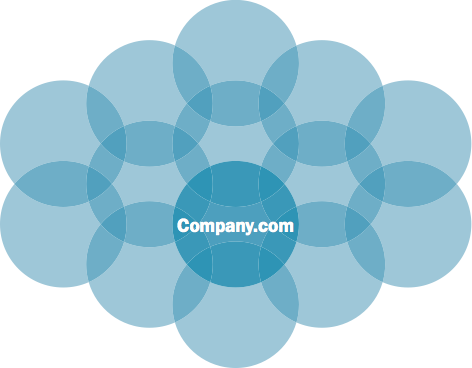 The core strategy statement is the central component of your content compass. It answers the fundamental questions for providing the right content, to the right people, at the right time, for the right reasons. Table 11.1 summarizes the four questions a core strategy statement must answer. Content product What content should we produce, procure, curate, and share? Audience Who, specifically, is that content for? User needs Why do those audiences need or expect that content from us? Business goals What outcomes does providing this content help us achieve? Core strategy statements come in many formats, and there’s no one right way to document one. A few key characteristics and concepts will help you craft an effective statement. First, it must resonate with and be memorable for the people who need to know and use it so that they can apply the key concepts to make content decisions. One way I’ve tested my statements is to present them to my colleagues with details about the four questions they answer and then ask them to recap the strategy. If people who don’t have much context for the project can get the gist and explain it back to me, it’s usually in pretty good shape. Second, it needs to be prescriptive enough to allow you to say no. One way to check it is to look at your past 10 content projects. If you would have decided not to do some of those projects if you had had the statement at the time, it’s probably strong enough. Let’s look at an example that my boss and CEO of Brain Traffic, Kristina Halvorson, has used in presentations (I changed it up a little). To reduce customer service center costs, we will provide user-facing, task-based support content that makes our professional customers feel confident when configuring products for their clients. Now let’s break that down a bit into the four key components. The business goal for this project is to decrease service center costs (by allowing people to self-serve). To do that, they’ll produce user-facing content that’s focused on tasks users want to complete. The content’s audience is the professional customers, meaning people who are quite experienced and who install the organization’s products for clients. The user need provides help with those installations. Next up, use the statement to make some content decisions. Use the list of content projects and ideas, such as in Table 11.2, and decide whether your organization should do them. 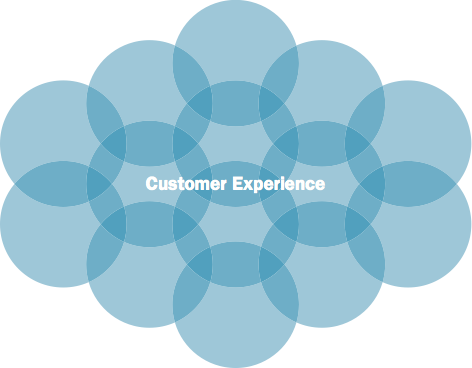 Repurpose word-for-word content from the customer service call center knowledge base. 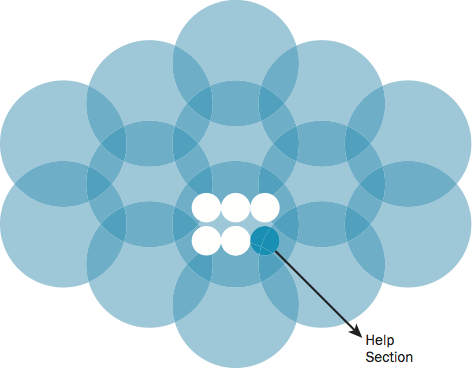 Reorganize help content based on analytics data about frequency of use and search terms. Display an interactive timeline showing how product X was developed on the help landing page. Conduct user interviews of a survey with professional customers to find out if they are getting what they need from help content. Feature professional customer profiles throughout the help section. provide a video from our CEO about how important it is for customers to be able to self-serve on our site. No to repurposing knowledge base content word for word because the internal knowledge-base content probably isn’t written in a user-facing way. Yes to using analytics to reorganize the help section because that data can help ensure the content is organized the way users think about the content. No to the interactive timeline because, while interesting, it would get in the way of tasks the user wants to complete while looking for support content. Yes to doing some user interviews because finding out what’s working and not working from a user perspective could help make the content more useful. No to featuring profiles about professional customers throughout the help section because it’s not the kind of information users would be coming to the help section to read. No to the video message from the CEO because demonstrating the care for self-service is more important than talking about it. The best part about putting together your core strategy statement is that you already have all the information you need from the discovery phase. Even better, your stakeholders have already agreed on the important aspects: who the content is for, why they need it, and what the organization is trying to achieve. Now you just need to put all that together and add some specificity about the kind of content to produce, through either a collaborative or individual approach. <Organization, Department, Property, Section> helps our company accomplish <this goal> and <this goal> by providing <descriptive phrase> and <descriptive phrase> content that makes <this audience> feel <this emotion or adjective> and <this emotion or adjective> so they can <complete this task> or <complete this task>. If I’m doing this exercise in-person, I have each person read their statement out loud with no discussion. Then, I’ll ask them to talk about the similarities and differences, the words or phrases that resonated most or didn’t seem quite right, and anything else that stood out to the group. From there, I take a stab at combining everything into a single statement and getting agreement from stakeholders on the aggregated version. You don’t need to wordsmith it at this point; just get the concepts down. You can make it an editorial masterpiece later (or not). If you have time, brainstorm a list of recent content projects, and ask participants to say whether they would still do the projects given the statement they just created together. This is a great way to demonstrate how it works and set expectations about how it might affect future work. If you can’t get the group together, you can send the Mad Lib out via email to stakeholders. The first time I did this, I was skeptical, but it actually worked fairly well. You don’t get the benefit of the resulting discussion with the email approach. But you can go back to stakeholders to work through disagreements before you. Some projects don’t have enough days in the timeline or dollars in the budget to craft the statement collaboratively with stakeholders. That’s OK. You can do it yourself. I’m more of an internal processor of information, so my method is typically to grab my notebook or insights spreadsheet and start reading through my notes. I jot down the things that stick out related to content, audience, business goals, and user needs. I’ll start writing multiple versions of the core strategy statement until I feel I nailed it. That usually involves several renditions and pieces from each getting pulled together, edited, discarded, and massaged. That approach works for me, but sometimes I get stuck and need to do something a bit more methodological. In those cases, I still grab my notebook or insights spreadsheet. But I transfer the key insights to sticky notes, note cards, or slips of paper. 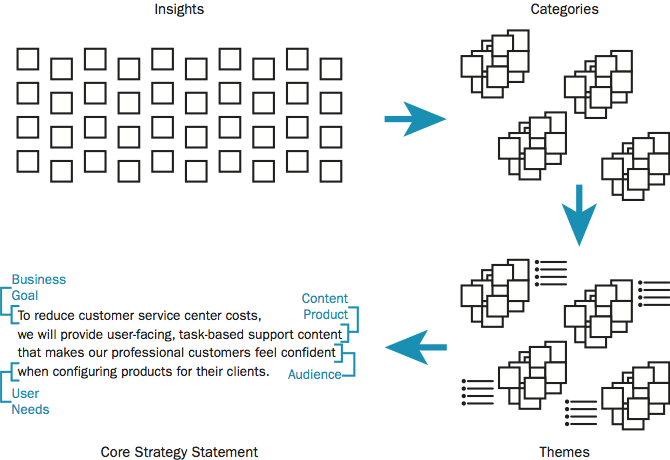 Then, I categorize those insights into the four categories: business goals, content product, audience, and user needs. Next, I review each category to see what key themes or ideas emerge. And finally, I take those themes and work out the core strategy statement, which typically goes through several revisions. A messaging framework clarifies what you want your audiences to know and believe about you, and tries to prove that this message is true. As a component of your content compass, the messaging framework helps ensure that every piece of content you create supports the framework. If it doesn’t, it doesn’t belong or needs to be revised. As with a core strategy statement, you can document your messaging framework multiple ways. I tend to create something somewhat visual to show a hierarchy or progression. Other practitioners I know use bulleted lists. Make sure everyone who needs it has it. Actually use it to make decisions about content. Keep in mind that the messages are for you and the people in your organization who work on content. One of the reasons I like to write the messaging framework from the users’ perspective is because it’s a nice foil to the core strategy statement. The core strategy statement is primarily written for the business. By writing the messaging framework from the users’ mindset, you have a well-rounded compass by which to set the direction for content and stay on track over time. This example builds upon the core strategy statement and details the first impression you want professional customers to have when they visit the support section, why your support section is valuable to them, and how you’re demonstrating that value with your content. Notice that the proof statements are related to what the content communicates and how it’s organized (substance and structure). You probably won’t be surprised to read that you can do pretty much the same things you do for the core strategy statement. Like right down to the collaborative and individual approaches. When a user first lands on the site, we want them to feel <blank> and <blank>. After spending a few minutes on our site, users should feel <blank> because they understand we provide <blank> and <blank>. Our content demonstrates that we provide just what our users need because <blank>, <blank>, <blank>, and <blank>. Once you’ve collected the Mad Libs, you can use the data to determine the patterns and themes and form those into the message framework. I go through that process in much the same way I create the core strategy statement—either processing the information in my head or using sticky notes to organize the data. If you’re not able to get input from your stakeholders in the form of the Mad Libs, don’t worry. Chances are, you have all the information you need from your stakeholder interviews. Grab your notebook or discovery insights spreadsheet. Better yet, do the Mad Lib and use your discovery insights to develop your messaging framework. Now that you have the two key components of your content strategy in place—core content strategy and messaging framework—you can tell your content people about them. Schedule some time with the key teams who work on content—from creating it to reviewing it to publishing it—to go over your content compass and how to use it. The next chapter discusses developing a plan for measuring the effectiveness of your content strategy and resulting content efforts. Your content compass will help you decide what to measure. Copyright © Brain Traffic, Inc. and Meghan Casey. All rights reserved by Pearson Education, Inc. and New Riders. Meghan Casey is the lead content strategist at Brain Traffic, the world’s leading agency devoted exclusively to content. Her job is to help her clients—who are startups, nonprofits, colleges and universities, Fortune 50 companies, and everything in between—solve the messy content problems most organizations encounter every day. Thanks. I’m glad you enjoyed it, and I hope you found something in it you can apply to your work. Thank you for this! I’m working on a massive site redesign and these tools will really help. Thanks for this Meghan! I just started a contract to do content strategy and creation for a university website redesign. These are great ideas to get everyone on the same page for content needs, and keep me focused on the right audience. You’re welcome Rio and Erik. I glad you found it to be useful. The rest of the book has some other tools that might help with your projects as well. This was really helpful, thanks Meghan! Looks like the book would be a great investment. Dare I say, I think it will be? Really, though, it’s chock full of tools from some awesome practitioners. Content management can become the most crucial key which can lead to the success of a website. Your article is very informative and will be very helpful during contents developing and planning for a website. Thank you for this fantastic article! I’m excited to add the content compass and messaging framework to my toolbox. I’m wondering, how do you use the content compass when you have multiple, different audiences? (For example: A college has current students, prospective students, faculty members, and other audiences, and they all have different goals.) Do you create a separate compass for each audience? Or do you try to use one compass for all? Hi, Jessica. That’s a great question. And, like we content strategists are used to saying, the answer is, “It depends.” I’ve done both. In some cases, I’ve been able to arrive at a unifying compass statement that works across audiences, but then I’ll often also break it down by audience and provide additional details about what the statement means for each, especially around the substance of the content. Other times, it’s made more sense to craft a separate statement for each audience. Even then, though, I try to do have something at the top that holds it all together. For one client, the statement was geared around how the content should help site visitors take the next best step for their situation (paraphrasing here). So, that sat at the top and I defined what that meant in more detail for each target audience. I hope that helps. Thanks for the clear directions on getting Sass watch to work. Not sure where I went wrong on my own, but I have finally have it working..